There are many misunderstandings about common law marriage in OK. The institution of common law marriage in Oklahoma has undergone changes in recent years, and many state residents have been left unsure about the legal status of their relationships. This guide can provide a basic overview of common law marriage in OK. If you have questions about whether your specific situation could be construed as a common law marriage in Oklahoma, you may wish to consult with a matrimonial attorney. Common law marriage in OK is part of a tradition that began in England centuries ago. According to unwritten English laws (the “common” law), marriages were valid as long as the couple had made vows to each other and cohabited, even if they had not had a wedding ceremony or witnesses. Many American states continued to recognize common law marriages in the centuries after the United States declared its independence. Couples who had a common law marriage in Oklahoma were entitled to all the benefits and responsibilities of marriage. Anyone wishing to terminate a common law marriage in OK had to go through the divorce process, rather than just informally splitting up. Many states ended common law marriages and began to require couples to obtain a marriage license and have a legal wedding ceremony. A bill in 1998 began requiring Oklahoma couples to obtain a marriage license, which some people felt spelled the end of common law marriage in Oklahoma. However, courts continued to recognize the validity of common law marriage in OK, leading to a dubious legal status for these marriages. In 2005, a bill to end common law marriage in Oklahoma was defeated. Is Common Law Marriage in Oklahoma Recognized? Currently, all common law marriages that were contracted in Oklahoma prior to 1998 are recognized legally by the state. In order to have a common law marriage in OK, a couple is required to have a permanent and exclusive cohabiting relationship. They must also consider themselves husband and wife, and “hold themselves out” publicly as married. If you entered into a common law marriage in Oklahoma after 1998, your marital status is complicated. Courts today may go either way when it comes to these marriages, and in order to gain the benefits of marriage, you may have to have a traditional legal ceremony. Talking to an attorney can help you if you are not sure whether your relationship constitutes a common law marriage in OK. If you have entered into a common law marriage in some other state, your marriage will still be recognized when you move to Oklahoma. 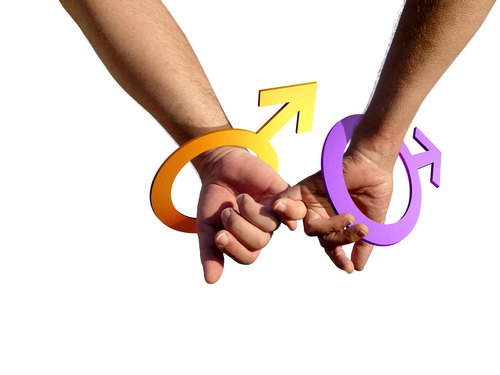 All fifty states recognize marriages contracted in other states, including common law marriages. Similarly, if you have a valid common law marriage in Oklahoma, other states will recognize your marriage if you choose to move out of the state. If you need legal advice and assistance, contact Oklahoma lawyers.